Save videos, movies, TV shows and more from all popular video sharing sites like YouTube, Vimeo, Metacafe, Hulu, Dailymotion and a ton of other similar sites to your computer. Enjoy online videos offline and play them virtually following the tips and tricks here. This article shows you the best tool to download Dailymotion videos with ease on Mac, which can also convert dailymotion videos to any format. This article tells you how to download Vimeo videos with the best Vimeo video downloader on Windows/Mac. This article introduces an easy and effective way for you to download and convert vimeo to MP3 on Mac OS (Mountain Lion). Savevid is not working? This article will tell you how to solve this problem easily with a Savevid alternative. How to download NBC videos to your local disk or mobile phone and tablet to watch offline? This article just answers this question. How do you convert YouTube playlist and save all the YouTube videos on the list to your Mac? Make use of YouTube playlist converter right away! Read this article to learn how to download ESPN videos with ease on Mac and Windows with the help of ESPN video downloader. How to download Photobucket videos to your hard drive on Mac/Windows? This article will answer this question by introducing Photobucket downloader. This article tells you an easy way to download Videos from MyVideo on Mac and Windows so you can store and enjoy the videos on your local disk. 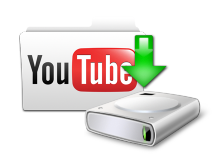 This article introduces the best Video DownloadHelper Chrome version for you to easily download and convert web videos from various YouTube-like sites. This article introduces GetFLV alternative for you to download any videos from YouTube, Hulu, Dailymotion and various video sharing sites as well.